Other than sticking with Wednesdays, I guess I haven’t been very faithful with Weeknight Winner Wednesdays! But hey, as in all things fitness and nutrition-related, you do the best you can with what you have, when you can. So here is the long-awaited (?) fourth installment and this time we’ve got seafood back on the blog (or perhaps you’ll consider this the first appearance, if you’re grouping seafood such as shrimp separately from fish). It’s heating up outside, but there’s no reason you can’t add some heat in the kitchen with the spices in this Honey-Lime Spicy Shrimp Stir-fry! Make it as hot (or not) as you like! In fact, did you know that many hot-climate cultures actually use MORE spices in their cuisines as a way to ENCOURAGE sweating? This helps to kick the body’s natural cooling mechanism (perspiration) into high-gear! Just think about all of the great chiles that feature in Southwestern and Mexican recipes. I’ve been told to stay far, far away from Nigerian cooking as it’s about as hot as hot can get (and I’m a self-professed spice wimp). So rest assured that if I can handle the heat in this recipe, you can, too. 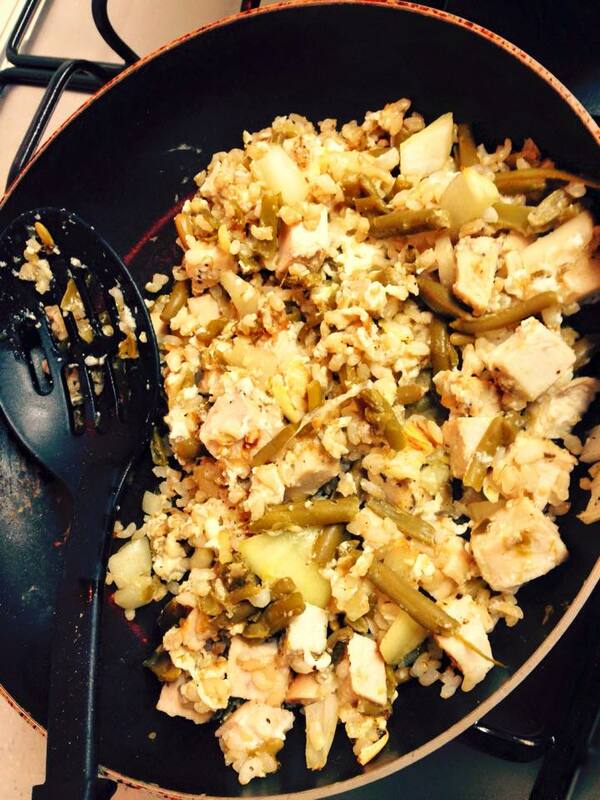 This is a great high-protein dish to feature as a main meal since it also includes a few servings of veggies. It is your option to add grains or other carbohydrate sources as your individual requirements dictate. 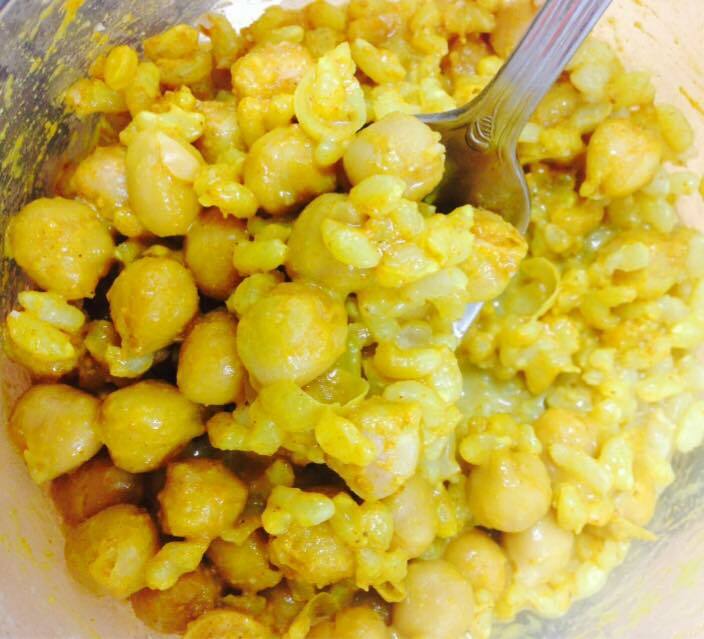 And of course this dish is not only versatile and nutritious (and delicious! ), but also easy to prepare. 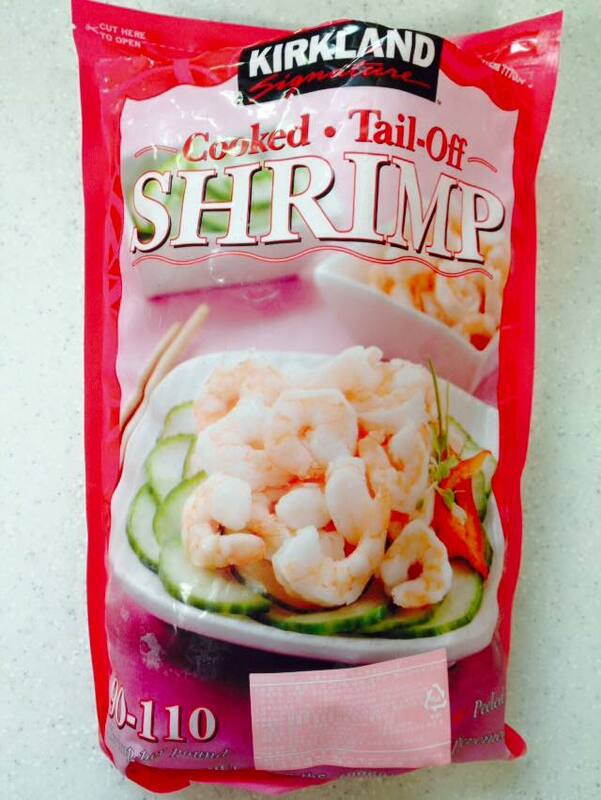 I highly recommend making use of frozen, pre-cooked de-veined shrimp with the tails off. 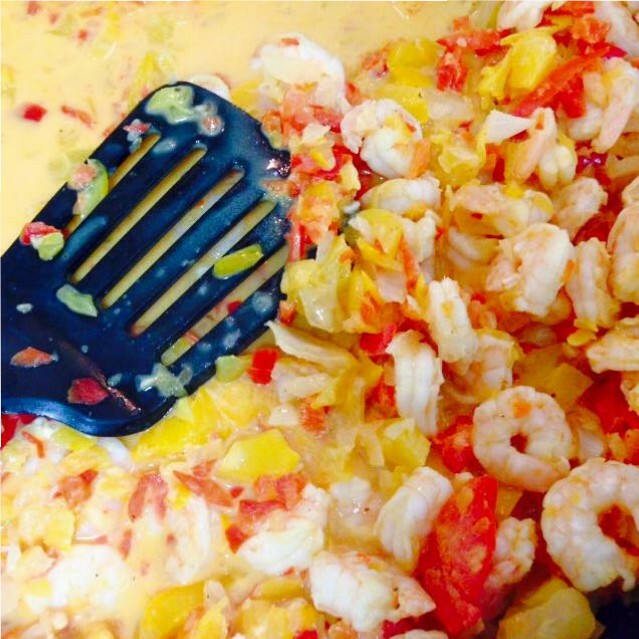 This minimizes the work for you – just toss the shrimp in a colander and rinse with cool (not warm or hot) water to thaw while you prep the vegetables. Easy-peasy! 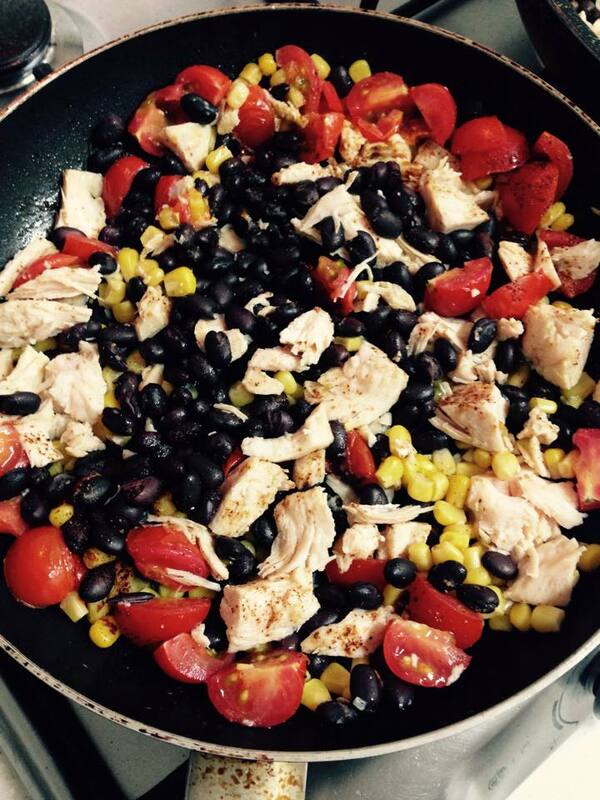 Enjoy this colourful, high-protein dish as a tasty way to also get your veggies with a kick! 4. 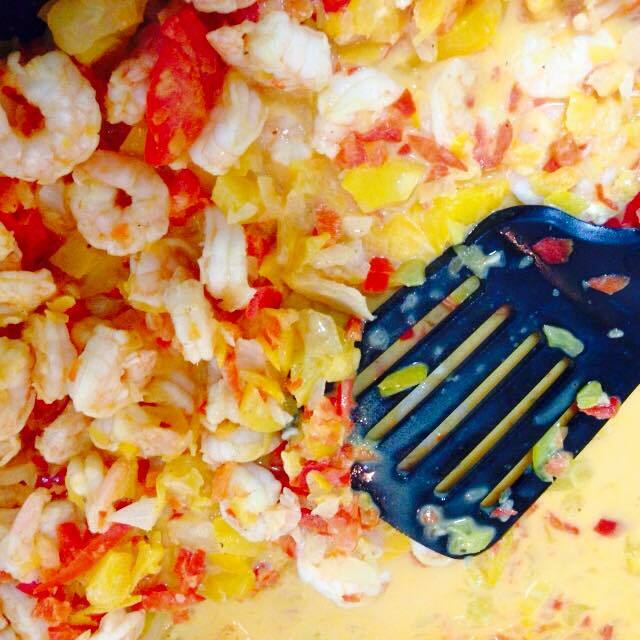 Add the shrimp and lime juice to coat. 5. Turn up the heat and sear briefly – this will cause the lime juice to evaporate quickly and enhance its flavour. 6. Reduce heat, pour on the honey and toss to coat. Sprinkle on the seasonings, sampling and adjusting as required to suit your tastes. Enjoy immediately. Dial the flavour up or down according your tastes by increasing or reducing the spice and/or by playing with different amounts of honey and/or lime. As with any stir-fry, the sky’s the limit on veggie substitutions. Leftovers (if there are any!) are great for lunch! 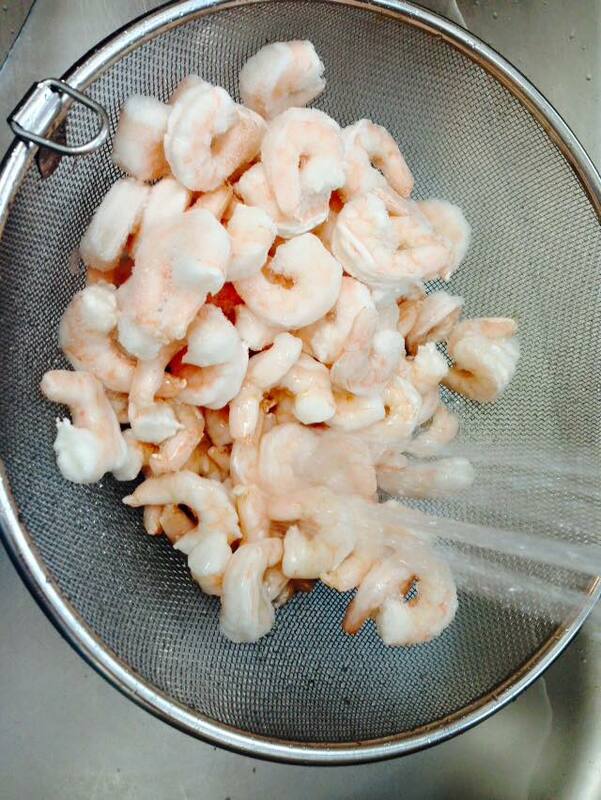 Rinse the shrimp with cool or cold water to thaw (not warm or hot) while you prep the vegetables. 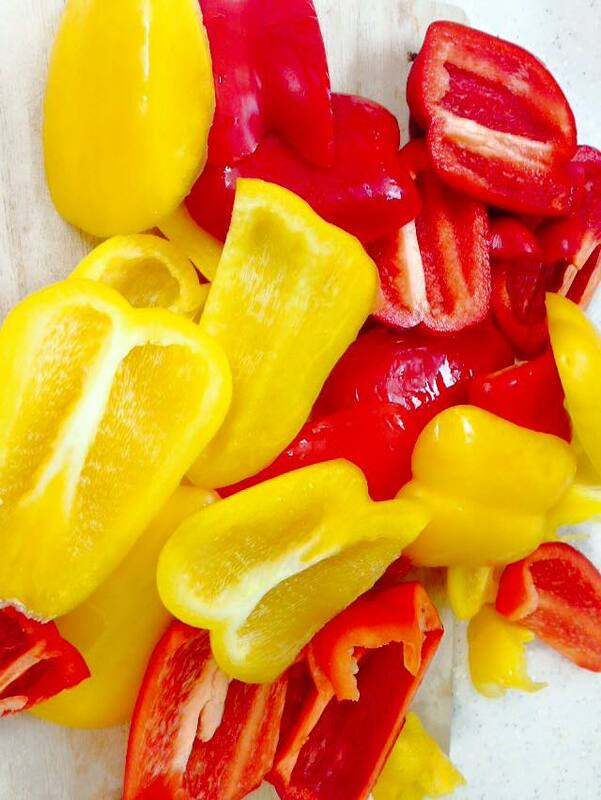 ALL the peppers – use your favourite colour(s) of bell peppers! Toss to coat with honey and spices.